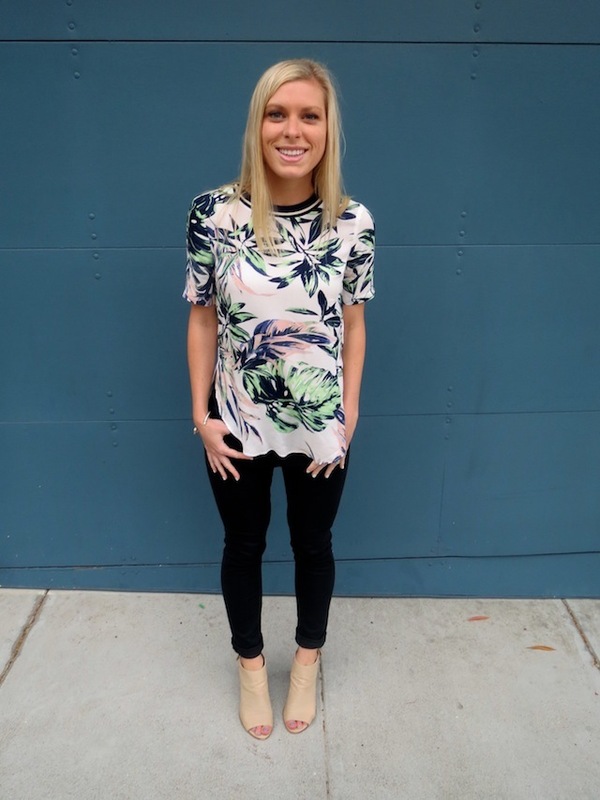 It was definitely not summer weather last weekend, but I made the best of it by wearing this Zara palm print tee to dinner with friends (we had bbq here and I'd highly recommend it). I feel like I've been living in cropped, skinny jeans and booties since moving up here so it was a good change. 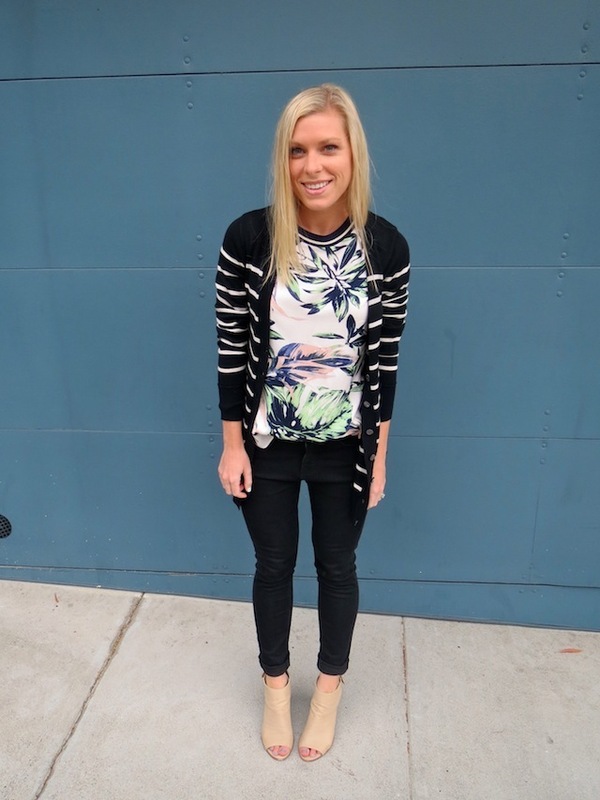 Love it with the striped cardigan. LOVE the printed shirt esp because of how flowy and roomy it is...but can we talk about your awesome open toe booties for a second here?!?! I was just thinking about how I need to spruce up my fall shoe collection and these would be awesome. the top!! so, so cute!! it seems so comfortable and yest is so chic!